Our Complete Padfolio rivals the finest articles available anywhere at any price. 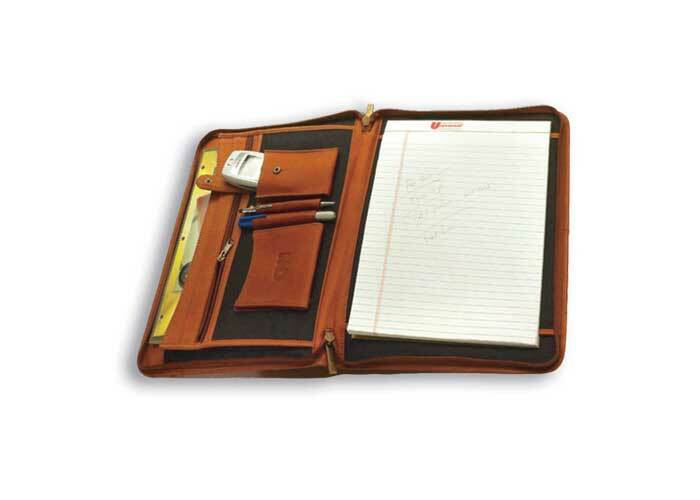 It is a beautiful full grain leather zippered padfolio with many pockets for your cell phone, MP3 player, and pens. Includes a large gusseted interior pocket. • Black or Cheyenne only, please specify. Product Weight: 2 lbs. 8 oz.